Injured in a construction accident in Walker County? It is common knowledge that working construction is a very dangerous job in comparison with other occupations. As a construction worker you have a higher chance of sustaining injuries on the job. In fact, the Bureau of Labor provides the following statistics for 2010: construction accidents accounted for over 18% of all job fatalities that year with over 774 deaths across the U.S. Furthermore, every year it seems that 4 out of every 100 construction workers sustain a severe, non-fatal injury working on the job. These statistics just go to show just how risky the construction work environment can be. There are powerful machines, sharp tools, heavy building material and countless hazards in the workplace and sometimes an injury is inevitable. If you or a loved one has been injured in a construction accident, then be sure to contact a Jasper personal injury attorney from our firm as soon as possible. 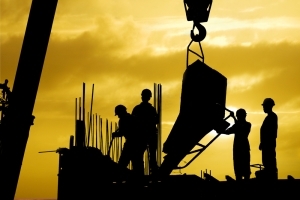 Suffer injuries in a construction accident? Find out if you are eligible for compensation! Tell us about your case by filling out a simple free case evaluation form. Need an attorney for your construction injury case in Walker County? Here at Warren & Associates, LLC we are committed to protecting the rights of personal injury victims and their families in Jasper and all throughout Walker County. Our dependable trail lawyers have extensive courtroom experience and we know how to recover a fair settlement for your injuries. Let us help you find out who was liable for the accident so we can hold them accountable for their actions. If you have been injured in a construction accident as a result of someone else's negligence, then you should not have suffer the undue financial hardship of paying the high medical bills. You must act quickly after your accident to obtain an experienced personal injury attorney to act as your legal advocate and to assist you in filing your injury claim. Our injury lawyers can walk you step by step through the complicated process. We can fill out all the legal paperwork and handle the insurance companies so that you don't have to. If you have been injured in any of the above accidents, then you deserve to be fully compensated for any loss of income, medical treatment, hospital bills, pain and suffering and/or loss of future earning ability. If you are not careful and you do not act quickly, you and your family could find yourselves in a fire financial situation. Get one of the top construction accident attorneys on your side today. Our firm has over 23 years of experience practicing personal injury law and we can provide you with straightforward, compassionate legal counsel. Our lawyers pride themselves on giving each case the time and attention that it needs. We offer clients personalized representation because we truly care about our clients and we value their feedback. Check out our latest case results and verdicts to see what we have accomplished for past satisfied clients. We are located in a historic building located in the heart of the downtown area of Jasper, so call us today to schedule a free consultation so we can discuss your case. Contact Warren & Associates, LLC by calling (205) 221-1044 now.